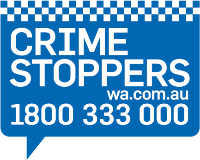 Traffic Enforcement Group officers would like to speak to anyone who assisted a police officer after a crash in Yanchep at about 8.50am on Thursday, 21 March 2019. The officer was riding a police motorcycle in a westerly direction along Old Yanchep Road when near Wanneroo Road, his motorcycle struck the soft shoulder and he was thrown from the motorcycle. The officer was travelling at slow speed at the time of the crash and received non - life threatening injuries and was conveyed by ambulance to the Joondalup Health Campus. Police would like to speak to the members of the public who stopped to assist the officer, and anyone who saw the crash.